Seoul will host the second of three-straight women's SWATCH-FIVB World Tour events in Asia as the world's best Beach Volleyball to the South Korean capital for the second-straight season. The 2007 SWATCH-FVB World Tour event in Seoul was the country's first international Beach Volleyball event in 10 seasons after Pusan hosted women's events for three years (1995-1997). Natalie Cook, Australia's three-time Olympian and Sydney 2000 gold medal winner, captured the inaugural Seoul stop last season with new partner Tamsin Barnett as the pair upset top-seeded Jia Tian and Jie Wang of China 21-19 and 21-19 in the 44-minute finale. Pictured left are 2007 Seoul gold medal winners Barnett (left) and Cook. Teams from American won all three Pusan gold medals as three-time Olympian Holly McPeak was a member of each winning team. The inaugural Pusan event in 1995 was a double gender stop as Brazilians Roberto Lopes and Franco Neto captured the men's title after McPeak and her Atlanta 1996 Olympic partner Nancy Reno claimed the women's gold medal. McPeak and Lisa Arce won the next two Pusan gold medals as the 1996 finale marked the first of two SWATCH-FIVB World Tour title matches for teams from Japan. Yukiko Takahashi and Yuki Ishizaka captured the 1996 Pusan silver medal. Japan's other SWATCH finale was in 2000 when Takahashi and her Sydney 2000 Olympic partner Mika Teru Saiki placed second to Adriana Behar and Shelda Bede of Brazil in Osaka, Japan. Kyung-Hee Ji and Sung-Min Kim were ninth at the 1996 Pusan stop for the top women's placement for South Korea on the SWATCH-FIVB World Tour. 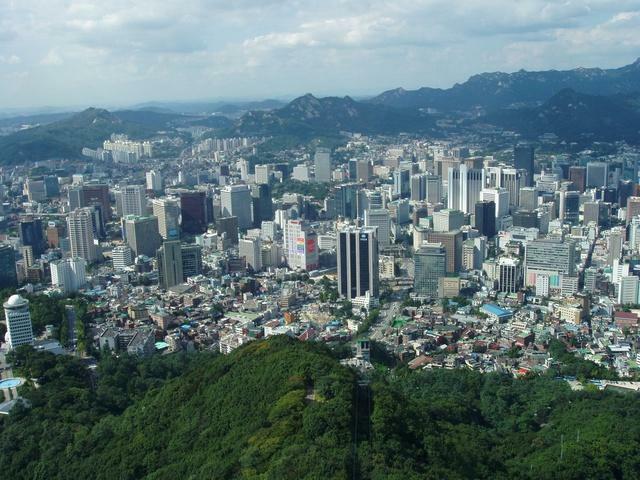 With over 10 million people living within its city limits, Seoul is one of the most populous cities in the world. However, with an area of only 605 square kilometres, Seoul is one of the most densely populated major cities, like Tokyo and Hong Kong. Seoul's population density has allowed it to become one of the world's most digitally-connected cities. Upon the establishment of the Republic of Korea in 1948, Seoul became the capital and was designated the nation's only Special City.